The Longmont Once Upon a Child store is a strong supporter of the Happy Smackah. 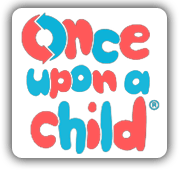 Once Upon A Child opened its doors in Longmont in January 2007 and has seen many changes over the years! They relocated and expanded in August 2013, and now offer over 5,000 square feet of space – showcasing name brand children’s clothing (size 0-18), furniture, equipment, toys, books, dvds, and so much more. With all this change, one thing has remained the same…. they are dedicated to providing an environmentally conscious and fun and convenient way to buy and sell new and gently used kids’ stuff, while focusing on quality, safety and value. The team at Happy Smackah is very grateful for their support!